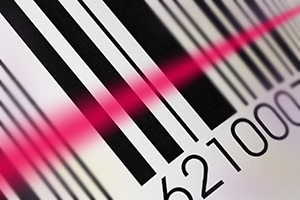 Unreadable or misread barcodes can result not only in customer complaints and product returns, but most critically, it can compromise patient safety. ✔ Assess the robustness of your labels to verify that your barcodes will remain readable after being subjected to the stresses of shipment. ✔ Ensure your products meet the latest UDI regulations. Our state-of-the-art package testing laboratory provides cGMP-compliant verification systems to ensure your Linear and 2D barcodes remain readable through your entire downstream logistics channels. With verification equipment that supports most 1D and 2D symbologies and an active field of view of up to 6.25” (159mm), our verification reports include detail of each attribute of the conformance specifications, allowing quick diagnosis of codes returning low grades. Click a link below to download one of our Label Durability Testing resources.